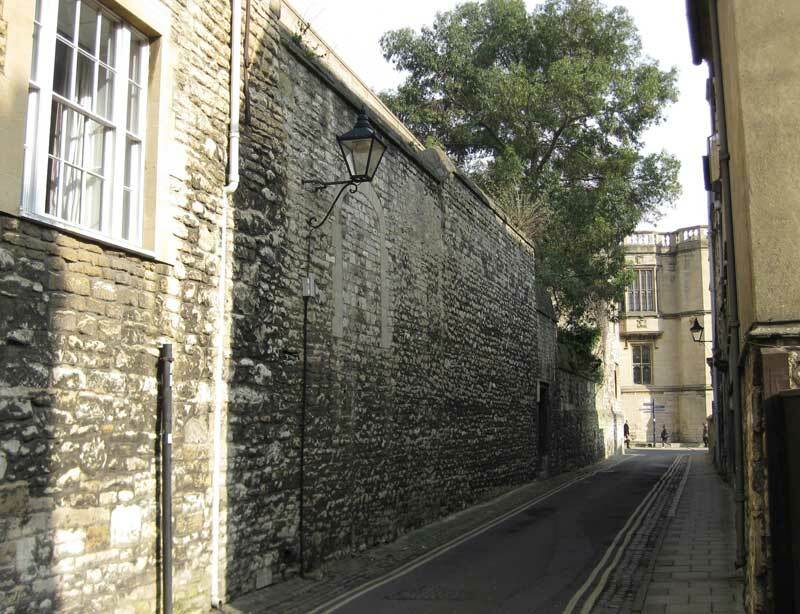 After the South Gate that used to span the current St Aldate’s Street, the South City Wall continued west along what is now the north side of Brewer Street (which was outside Oxford in medieval times). 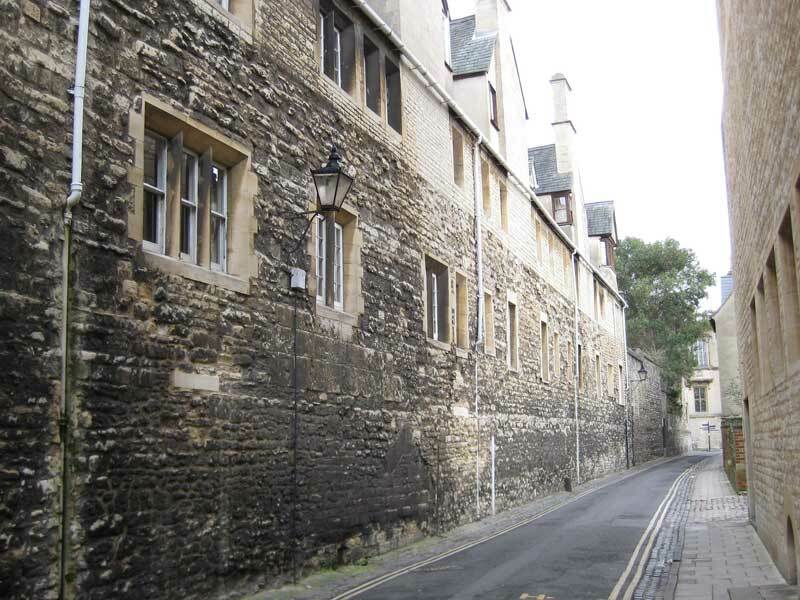 The wall is mostly intact here (apart from the college chapel in the middle built in 1664), and now marks the southern boundary of Pembroke College (founded in 1624). 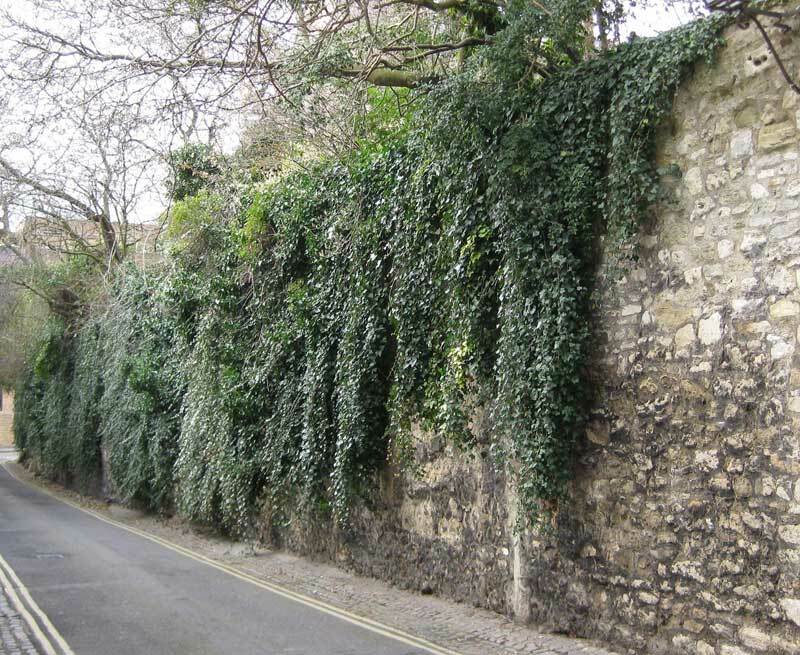 This section of the wall is Grade I listed (List Entry No. 1046581).